Suitable to fill sticky powders like coffee powder, milk powder, detergent powder, tea, spices, granules etc with Augar Filling System and Volumetric Cup filling system. Established in the year 2015, we Indomation Engineers Pvt.Ltd. are engaged in manufacturing an extensive range of Auger Filler and Packaging Machines. 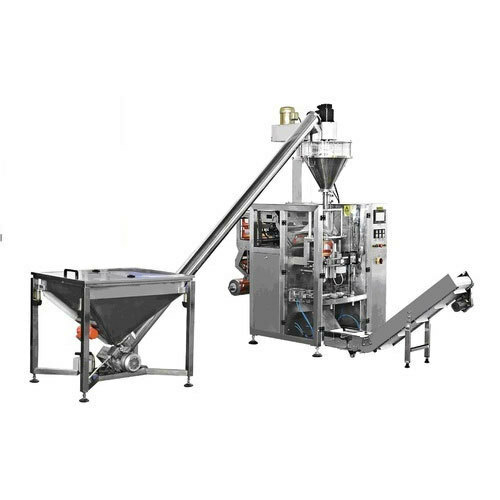 Offered products range consists of Auger Filler Machines, Packaging Machines and Fill Seal Machine. Designed by the use of excellent quality inputs, these offered ranges are available in several specifications. Additionally, our product range is appreciated by our customers owing to their lightweight, highly durable, easy to use, simple design, customized size, reasonable price and long-term durability. Our modern infrastructure is the combination of professionals and a technically sound unit for production.Backed by a team of production managers, warehousing experts, engineers and other support staff; we have been able to meet the precise needs of our clients. We have hired our skilled workforce on the basis of their working experience in this field. Owing to our ethical business policies, and reasonable prices, we have increased the number of our satisfied clients.